Contract GIS (Geographic Information Systems) Economic Gardening services that will give your program IMMEDIATE results! We are also available for long-term contract services if your organization decides that it does not want to fund a full-blown GIS department. 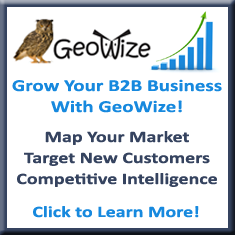 Contact GeoWize today for a free estimate on the Economic Gardening services that you need for your organization!